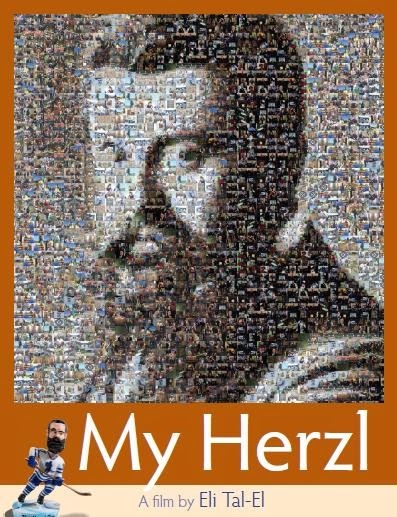 The typical Israeli "man on the street" view of Theodor Herzl is that he is an icon of the establishment, lacking in relevance in the contemporary period. But a successful lawyer from Canada sees things differently. He is a collector of Herzl memorabilia and sees Herzl as an inspiring historical figure. He decides to invite his entire family to his 50th birthday celebration which takes place in Basel, at the site of the First Zionist Congress. Thus begins the film, My Herzl, by Eli Tal-El, which uncovers so much fascinating material about the life of Herzl and the importance of his writings and thinking. Tal-El interviews historians and he takes us to visit the birthplace of Herzl, adjacent to the Dohany Synagogue in Budapest. We travel to Vienna where he lived for most of his adult life, and on to Paris where he was a young journalist during the days of the Dreyfus Trial. Herzl has been put on a pedestal as a great thinker, charismatic leader and visionary of the Jewish State. On the other hand, we also see that he was a man obsessed with a mission which seriously compromised his ability to be a loving family man. By exposing us to the man's weaknesses, the filmmaker definitely helps us to better understand his greatness. 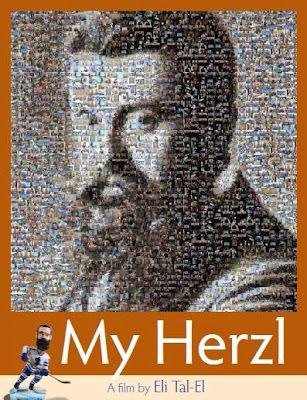 My Herzl (52 minutes, documentary) is available from RuthDiskin Films.